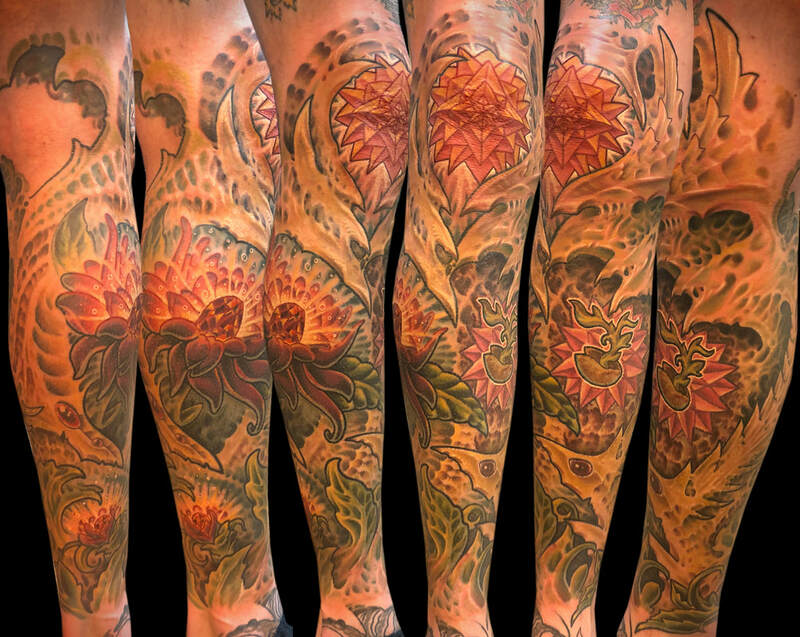 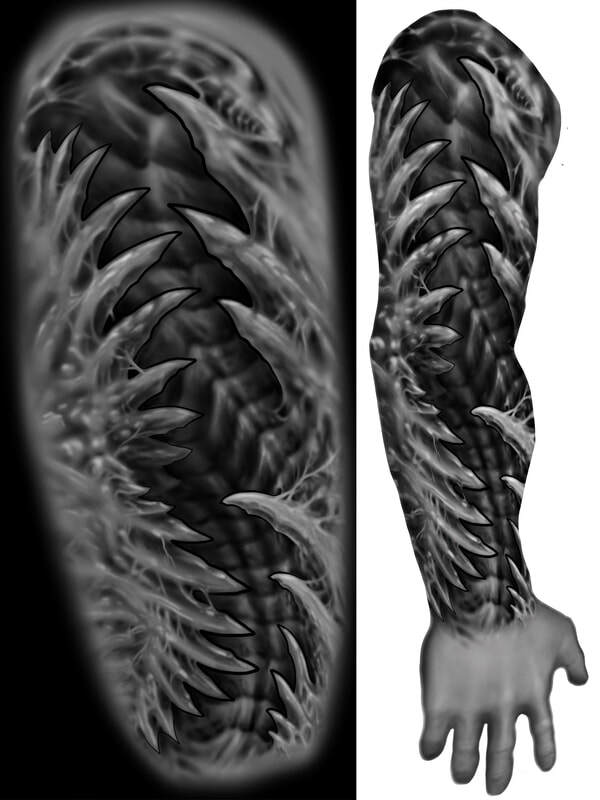 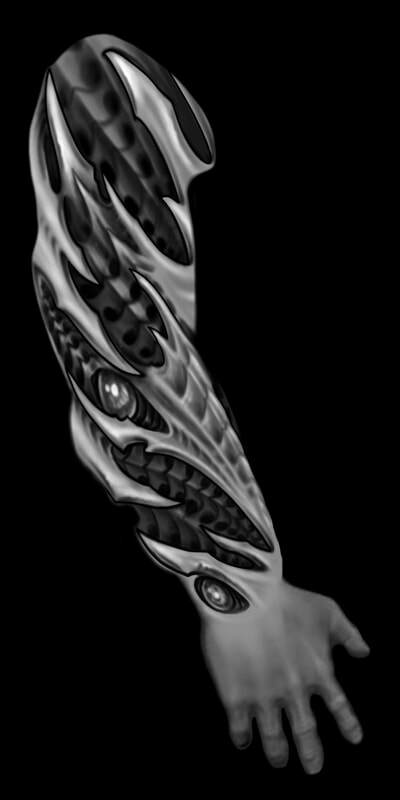 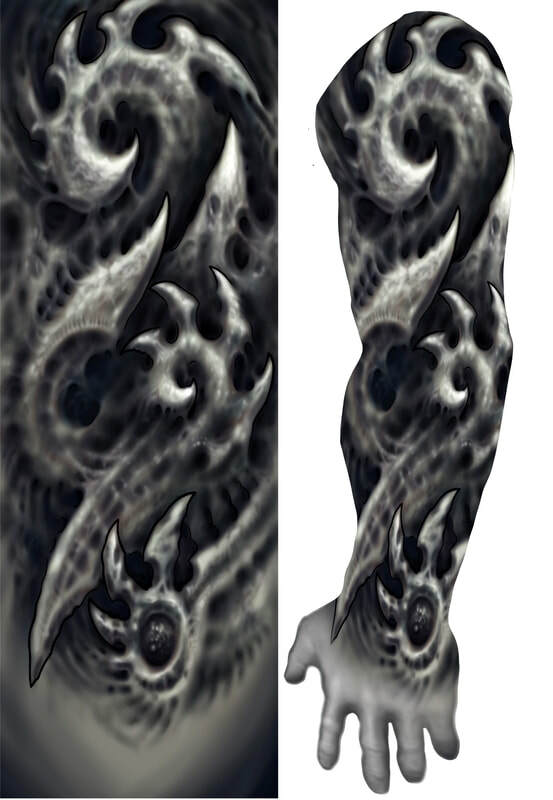 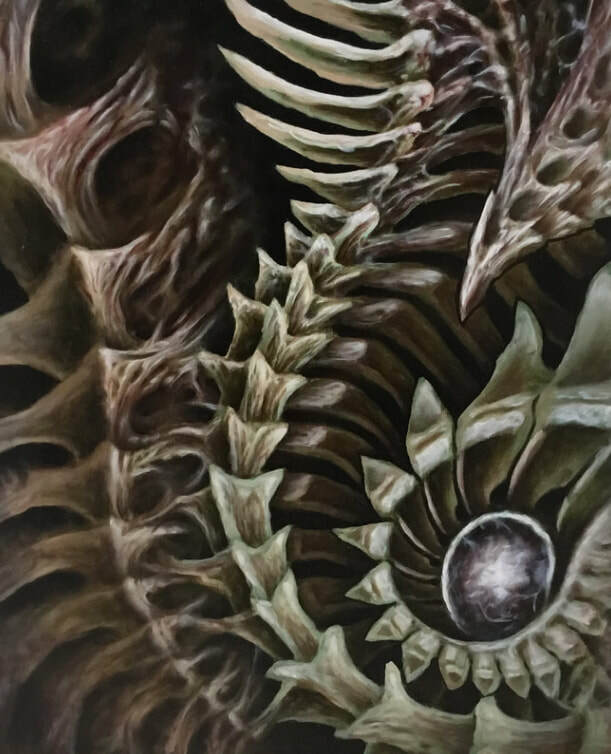 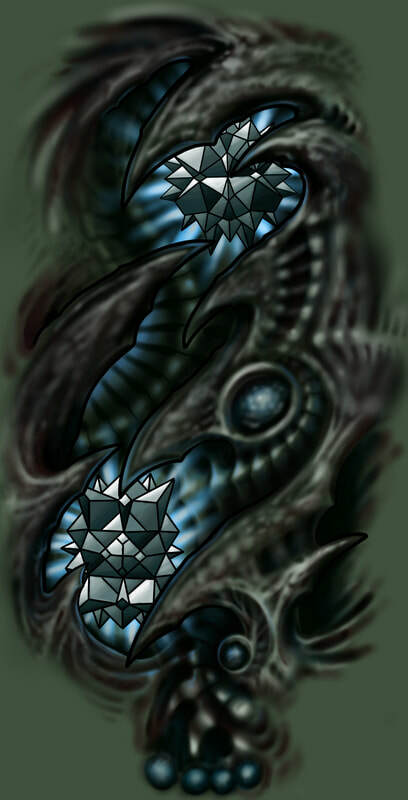 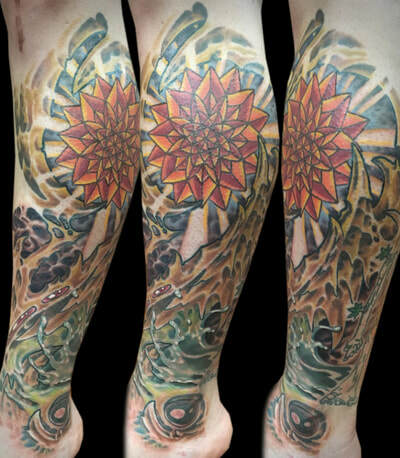 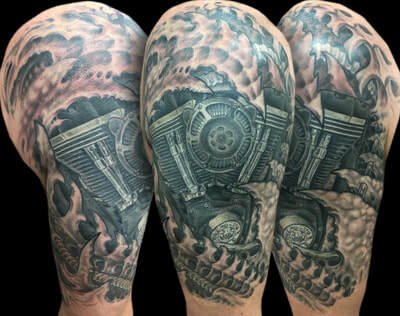 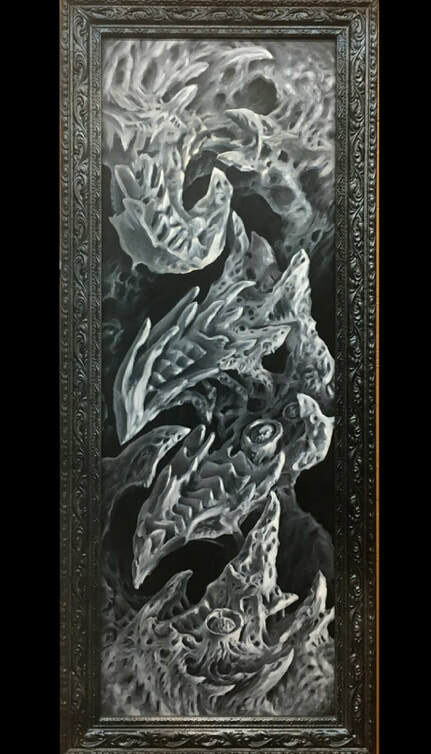 Certain elements of biomechanic and bioorganic tattoos can be utilized with imagery, such as; skin tears, jagged cavernous spikes and flowy organic plants. This is great for giving your piece more depth. 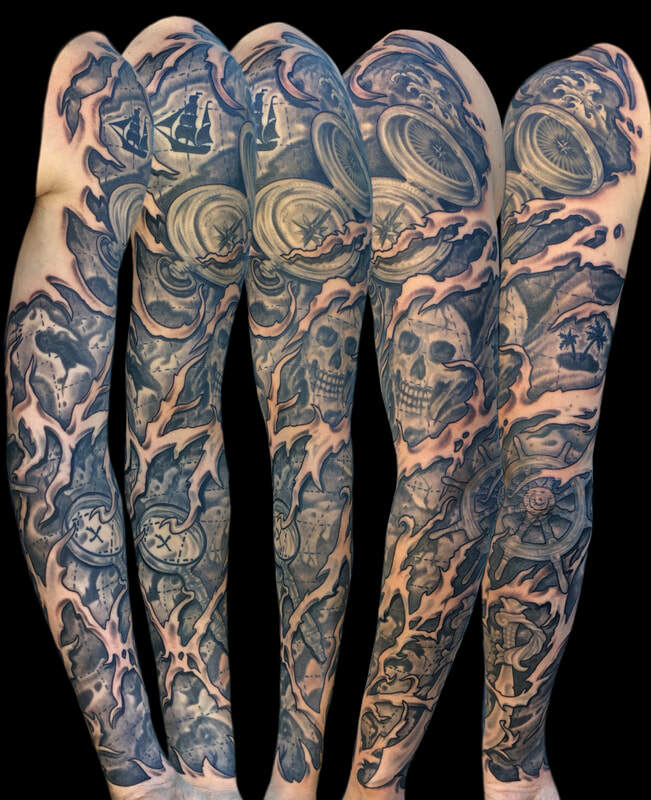 My absolute favorite style of tattooing may be misundertsood by many, but has a lot to offer in terms of creating a vivid new world on my clients' skin. 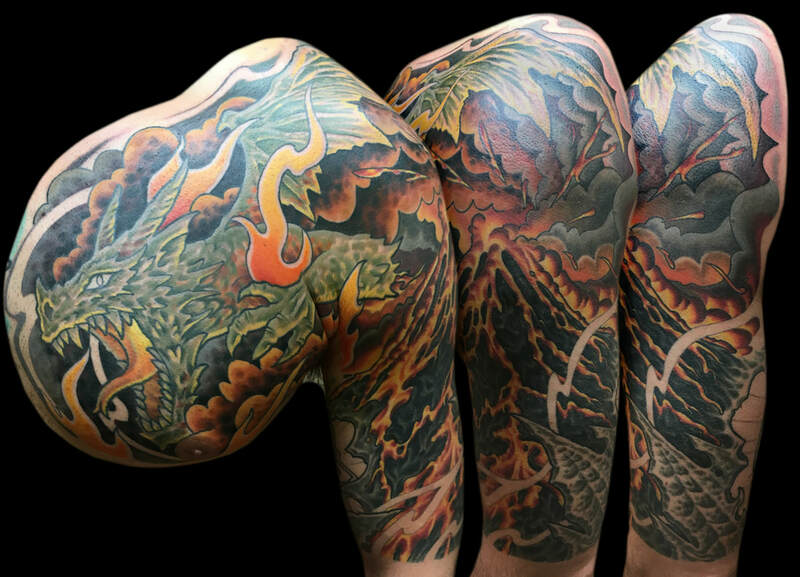 The category of "BIO" tattoos has endless possibilities in terms of composition and never fails to accentuate the human body when executed properly. 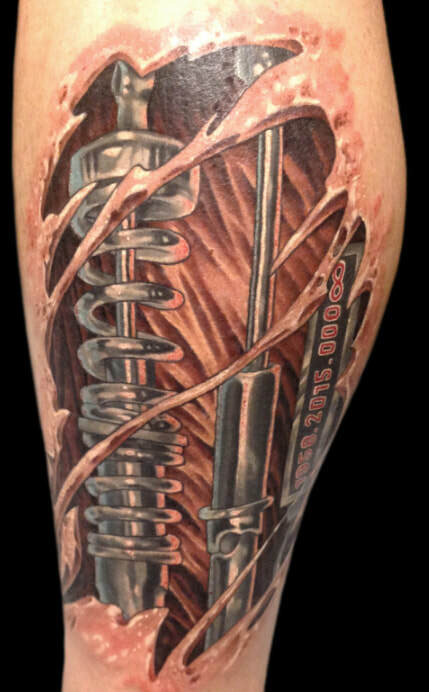 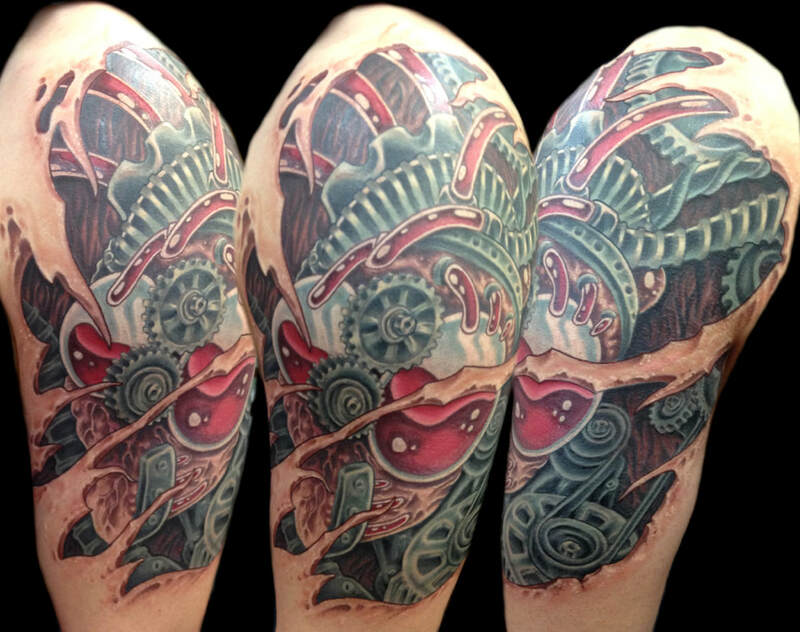 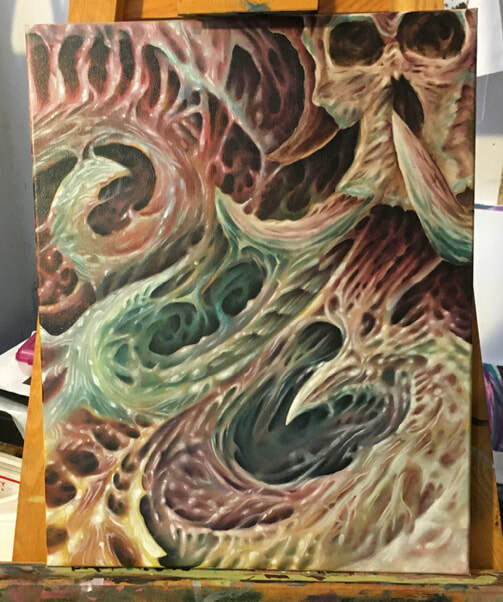 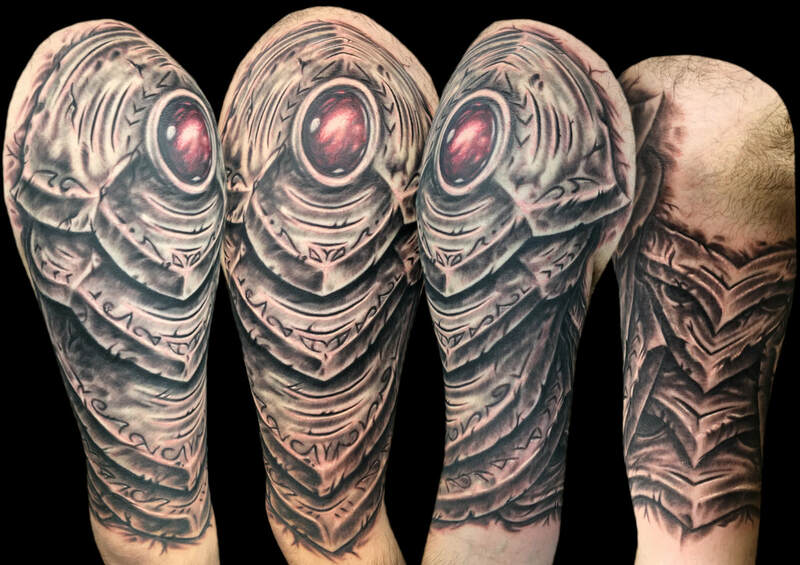 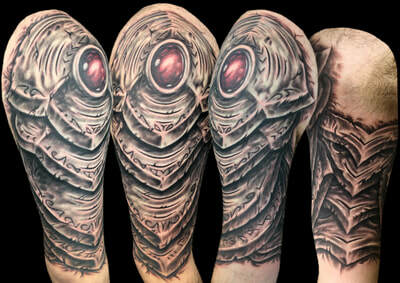 Some may think of biomech as gears and robotics only, however, this style is not limited to such subject matter. 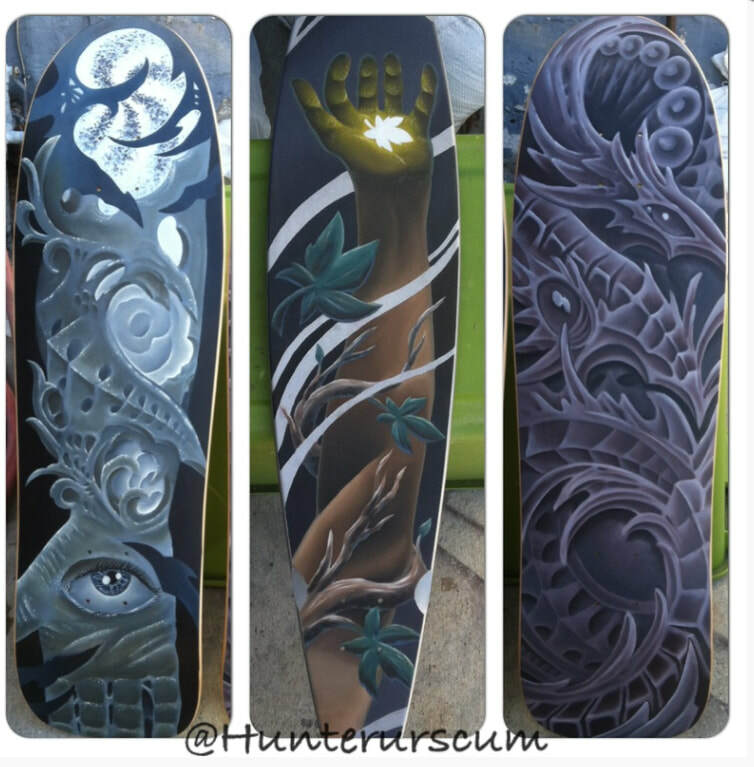 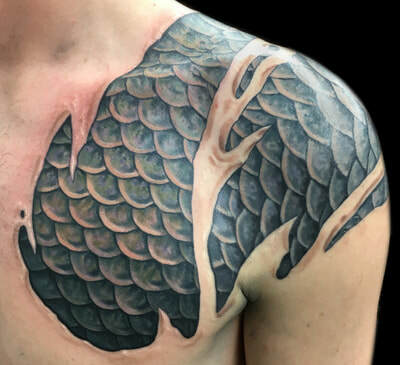 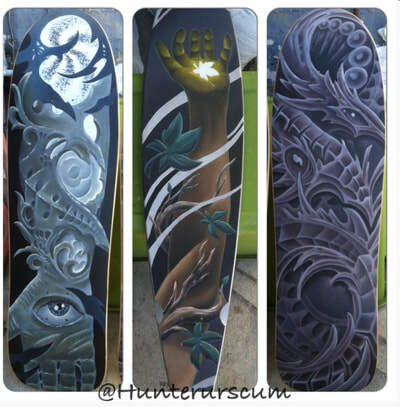 Whether you want a fish or a bird or whatever it may be; rather than dropping it on your body like a sticker, we have the opportunity to create an exciting environment to tie into the imagery in order to create a more visually impactful layout and tattoo that will last longer and stronger. 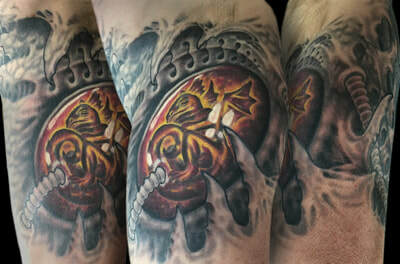 Your fish tattoo can be laid out in a harsh ocean abyss filled with dark mysterious creatures cautiously navigating jagged rocks near glowing hypothermic vents. Your bird can be flying through a windy jungle of exotic plants on a warm day during a sun shower; amidst shimmering raindrops illuminated by the fiery sun. 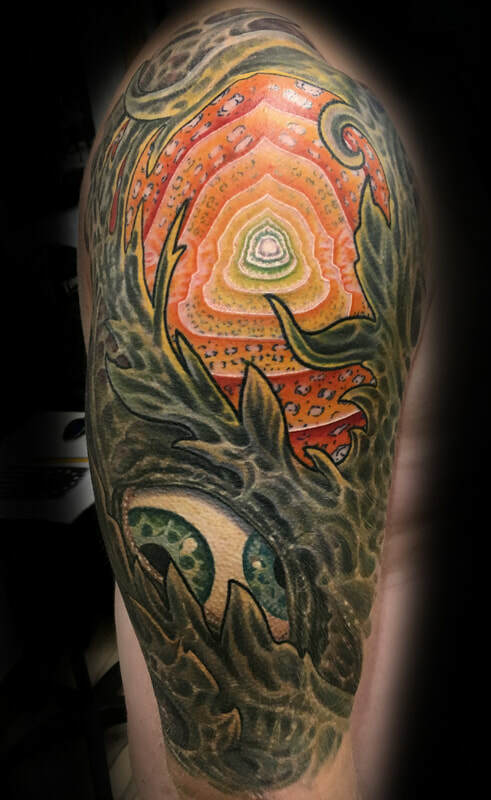 "The most exciting part of a tattoo with bio influence is creating an entire environment for your piece and utilizing human anatomy to have the design flow properly on the curvatures of your body."